The new iLumi, unveiled this week on Indiegogo, is an energy-efficient LED bulb that lasts for 20 years and can be controlled by any smartphone. 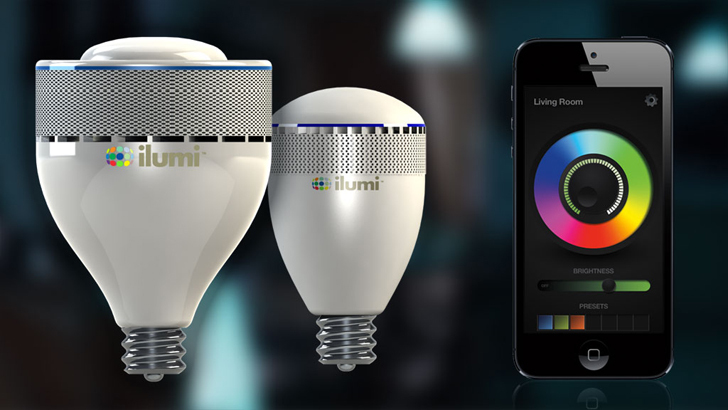 The bulb features iLumi’s HyperLux technology, which allows it to be programmed to display millions of colors and makes it one of the brightest bulbs around. The bluetooth-capable iLumi is available in four different models and starts at $59. The iLumi ditches wires by utilizing bluetooth technology. 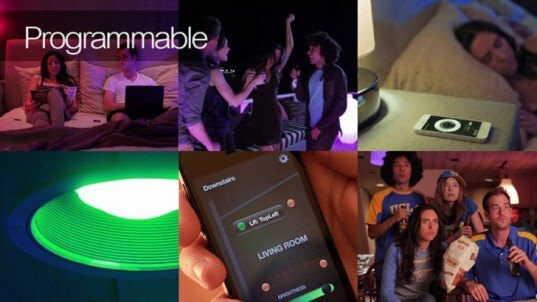 Able to be programmed through Android and iOS operating systems, the bulbs take advantage of red, green, blue, and white LED’s to produce bright, multicolored light in a variety of shades. Each iLumi has a 100 foot range, and multiple bulbs can communicate with one another and pass along commands through a Bluetooth mesh network. iLumis can be customized for individual lighting schedules that dim, turn on or off, and change colors at different times of day. The bulbs are able to sense location and proximity, and they can automatically light a path when you walk around the house. They can even synch to music through the downloadable application. iLumi estimates that with 25% of energy costs going to household lighting every month, the bulb will pay for itself multiple times over its 20 year lifespan. Low-energy and highly efficient, the 15 watt iLumi can cut your utility bills by $340 compared to a standard 100 watt bulb. Both the full spectrum and white spectrum bulbs come in large and small sizes, and they start at a $59 donation for a single bulb. While I love the development, I don't like light getting dimmer. A normal 100W lightbulb would be around 1700 lumen (http://en.wikipedia.org/wiki/Incandescent_light_bulb). Replacing it with the bug iLumi gives 1100 lumen. (http://ilumisolutions.com/frequently-asked-questions/) 1100 is a lot less than 1700. It's a little like someone selling a 60W lightbulb as 100W replacement - saving up to 40% of the energy!!1! :p Works better in EU/240V though - we only get about 1300 lumen from 100W. And 15W is a lot better than 60W. So I don't know why the false math is there to start with...? Have you seen the Light? http://www.kickstarter.com/projects/cloudlight/light-1 it can control devices like this, and can be controlled from a smart phone. The new iLumi, unveiled this week on Indiegogo, is an energy-efficient LED bulb that lasts for 20 years and can be controlled by any smartphone. The bulb features iLumi's HyperLux technology, which allows it to be programmed to display millions of colors and makes it one of the brightest bulbs around. The bluetooth-capable iLumi is available in four different models and starts at $59.